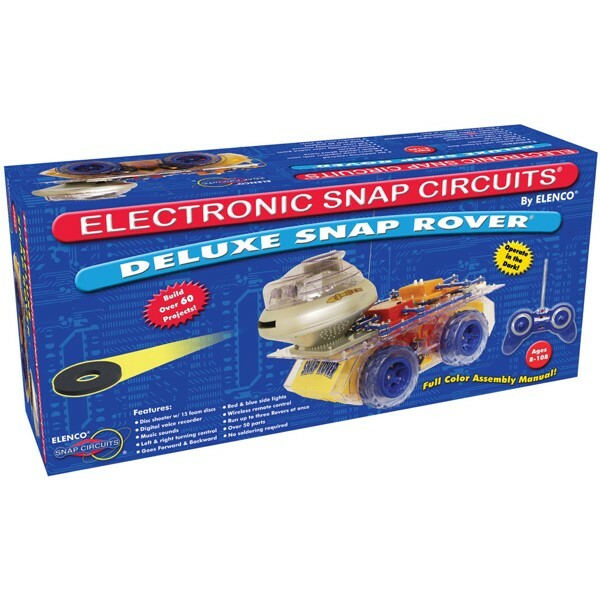 The Snap Rover Deluxe kit is an easy to build Snap Circuits RC Rover. 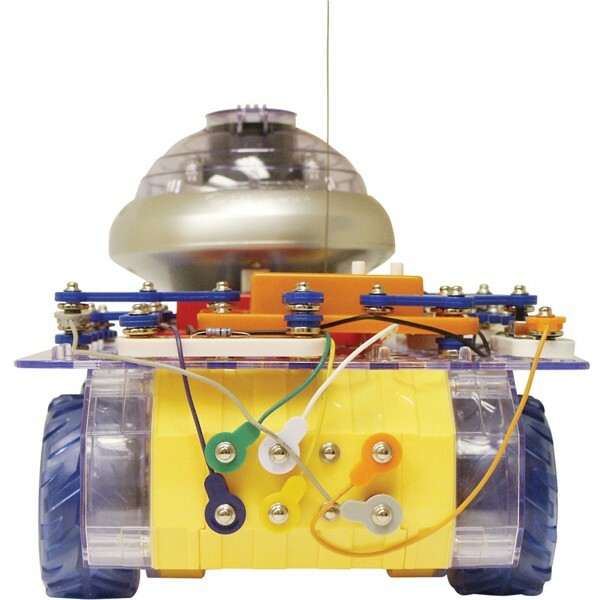 Snap Circuits feature colorful snap together electronic components that allow children of all ages to discover the magic of electronics hands on. No soldering required. 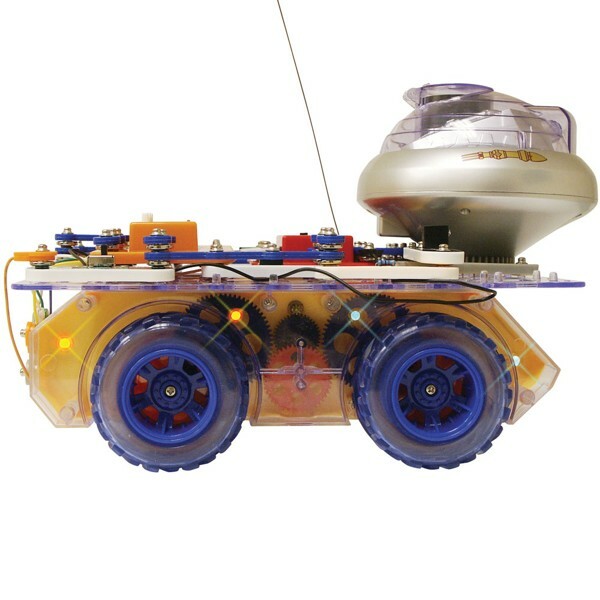 This Snap Circuits set is used to build an RC Radio Controlled rover. It includes more than 50 snap together electronic parts that can be used to build more than 40 experiments. Advanced parts include a digital sound recorder and generator, radio receiver with wireless remote controller and a foam disc launcher. The Snap Rover Deluxe can be driven around using the included wireless remote control. Radio channel selection allows up to three rovers to be operated at the same time. 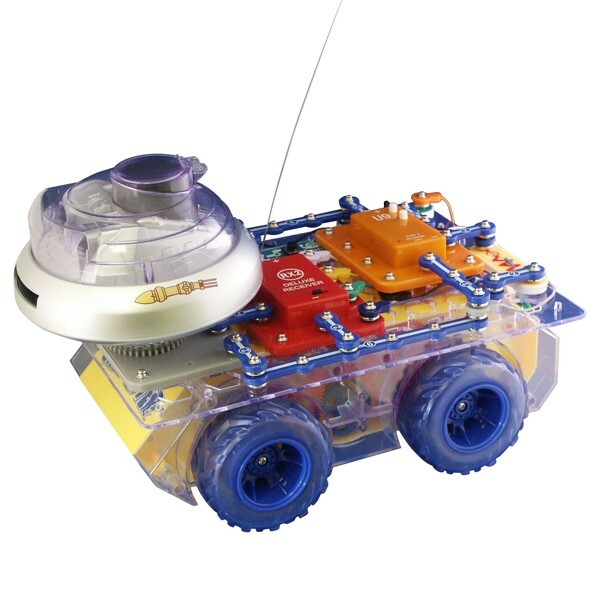 The Snap Rover Deluxe kit is recommended for ages 8 and up. The rover requires six AA batteries and the remote controller requires a 9V battery.